Welcome to the land of Comics! 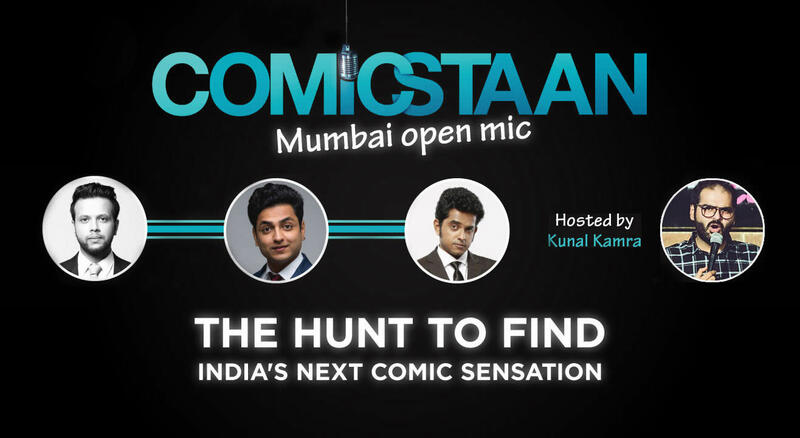 Comicstaan is where we look for India’s next big comic sensation. We are holding open mics in Mumbai, Delhi and Bangalore. Come be a part of the live audience for the taping of the show in Mumbai alongside our judges, Kenny Sebastian, Naveen Richard and Sapan Verma and host Kunal Kamra.